An early morning wreck. A grisly, fiery mess. Paramedic Jim Stockbridge does his best to save the family, but the flames drive him back. Now, with a family relative out for revenge and two beautiful women on his mind, Jim is about to learn that failure is not an option – especially when lives are on the line. “Fast action from dramatic start to thrilling climax. Sailors, medics, EMTs, and those in emergency medicine will delight in the accuracy of technical detail. Patterson delivers thrilling suspense fiction.” ~ Donn Taylor, author of Lightning on a Quiet Night, Rhapsody in Red, and The Lazarus File. Her Deadly Inheritance: First a runaway. Now running for her life. 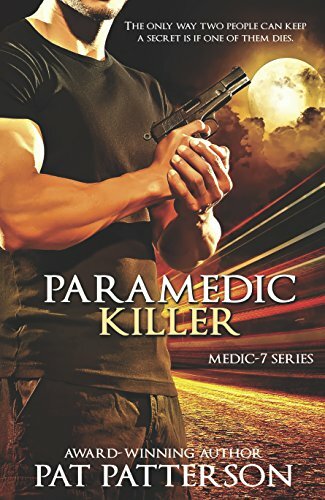 This is the Kindle version of Paramedic Killer – The only way two people can keep a secret is if one of them dies (Medic 7 Series Book 2) that you can also download and read on your computer and mobile phone. Kindle books are DRM protected and therefore, unlike ebooks that are in PDF or ePUB format, you cannot read this ebook without the official Kindle apps.